To begin with, I must warn you : I never read strips day by day. I read them by packs of 30 at least. This make the ones with continuity much much more readable (MT for exemple). All comics are in english only, except if I mention [fr] (french only) or [fr/en] (guess). The author draws VERY well (when he wants), and directly on graphic tablet ;) I love the humor and the characters. We also have a big part of cat strips that are hilarious, nonsense theories from Thorax, sarcasm from granny and reverend mother, joy and love from others. Oh yes I talked about this one. Closed for a long time, the archives are online again! But no updates. Anyway that's still a must-read. Geek and gamer humor, some puns and decent art. A recent comic strip, quite nice. It was displayed on comics.com but not anymore. It's publication keep going of the author's website. The peaceful and funny strip about a retired couple. This strip features a monkey encountering many different people trying to do something with their life, usually something crazy. We are in a crazy world after all. Full of joy and mild crazyness. My current God. This is the blog of a pro french drawer. You can see him recently in Donjon and in Ragnarock. Art: wonderful. Humour: always astonishing. I can't say more, just go and read ALL archives! An old and good webcomic, maybe too old. Fun strips are now replaced by long storylines. I stopped reading it several months ago. But it still has a lot of value. 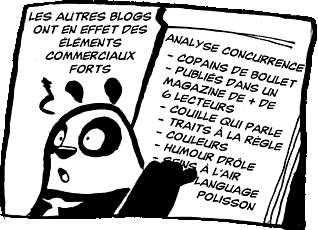 Evidement c'est un blog par conséquent pour lire toutes les archives c'est une véritable horreur quand des posts se suivent. Very good art and many updates. Fun and totally understandable by non-roleplay gamers. Gamer strip, real fun. Sometime we have big storylines, but are still lot's of fun. Perfect then. Who doesn't know that? Anyway it's a good classic and usually quite funny. 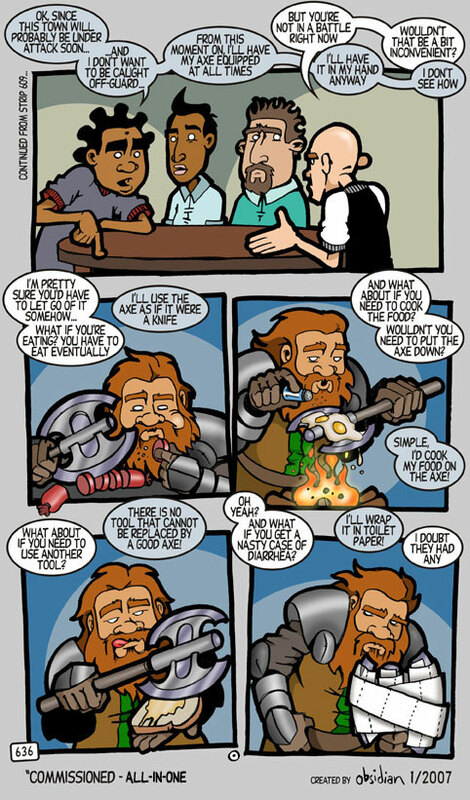 A joyfull strip about roleplay gamers. He is a doctor, and he is a ninja. Very fun good action-aventure comics with perfect drawings. It's a very classic recipe, but I laugh when I read. Very nicely drawn, and quality over quantity. After 2 years without updates, it's back ! Began with a biiig sequel of copy paste but became more and more stylish. Very fun. Irc-forum and D&D humor based, very nice. This is a nice webcomics, less than a hundred in the archives to read. Art is pleasant and the tone is joyful humor. Oh, and fan-service, too. It gots the good amount of absurd and crazyness, a little like the Perry Bible Fellowship. Intelligent and fun. Simply wonderful. If you've seen all my strips, you've seen Frazz already. Lots of fans describe Frazz as a grown-up Calvin (from Calvin and Hobbes, a 5/5 also, but not depicted here as it's off since a loong time). I don't think he is, but the author is clearly a fan and strips have a lot in common. Very wordy. It's a lonely guy with a cat and a dog.. like the one above ? Not really. Just... see by yourself. A great comic! 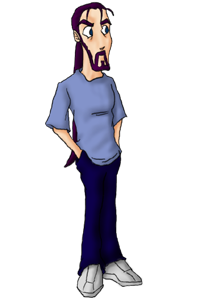 Art: very good, and colored since a while. Scenario gets better and better. Fun and suspenseful, a RPG-oriented adventure that you must read. Isidore le roi maliiinnn Et oui c'est lui ! Voilà l'origine des Entrechats. For English people, I don't know if for you, "Heathcliff And The Catillac Cats" is a classic anime for you, but for us, it is!! Very repetitive and quite cute cat strip. Can be read very fast. Chaque case est indépendament encrée : il n'y a pas de copier-coller !